The Tóth Tanya located in the heart of the Hungarian Plain. In a quiet environment, offers the opportunity for rest and relaxation. There are two separate buildings, reminiscent of the atmosphere of the early 20th century and of peasant life in this period, yet perfectly matching the demands and needs of comfort for people of our modern age. In one of the buildings you can still find the old oven having survived adventurous times. The quality of both buildings is such as to serve the comfortable and undisturbed relaxation of our guests. The kitchens and the connected living rooms also reflect this double approach, the one-time utensils are now cherished and unique articles for decoration in the house. The Tanya is good to reach by its optimal location. 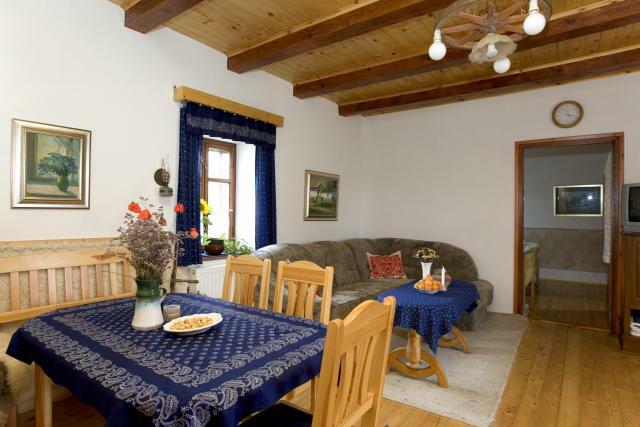 It is situated about 20 km from Kecskemét, 100 m next to the connecting road between Szentkirály and Lakitelek, these hamlets are about 3 km away from the farm. The buildings are on a 1.5 ha large property, from which 0.4 ha is a vinyard which additionally shows the atmosphere of close nature. The houses have all comfort. Gas, water, electricity, flowing cold and warm water, bathroom, WC, telephone, television and heating (in summer aswell as in winter) these guarantee the comfort feeling of the guests. Those who are looking for a more active relaxation, will not only find swimming and bathing possibilities at the „people’s highschool” situated 2 km from the farm but you have also the possibility to chose from 4 different hot springs in the nearby villages Tiszakécske, Kerekdomb and Cserkeszőlő (about 15 to 20 km away from the farm). The „forrest Spa” (Tőserdő) Lakitelek is about 8 km from the farm and is situated next to the Tőserdő where you can have a relaxed walk, next to the river Tisza, which allows paddling and swimming aswell. Very close to the farm are many possibilities for hunting in the colder season of the year. The buildings offer place for 18 persons, 10 in the main building and 8 in the opposite auxiliary building. In addition we offer a rustic area for 20 persons, Which is suitable for negotiations, seminars etc.